Specialise in the complex and ever-evolving area of insurance law and learn from academics at the cutting edge of its development. This distinctive LLM, one of just a few of its kind in the UK, will open up a wealth of career options in the global insurance industry. An intriguing area of study with superb employment prospects, insurance law is a dynamic field that is continually developing in response to new legislation. The LLM Insurance Law is one of just a few masters degrees to offer a comprehensive understanding of this fascinating subject, taught by inspiring academics and informed by the latest research being conducted within the Law School’s prestigious Insurance Law Research Group. As well as studying insurance law and marine insurance law in depth, you’ll be able to tailor your course by choosing from a range of complementary modules that draw on our academics’ extensive expertise in areas such as maritime, company and intellectual property law. You can also choose a topic of interest for your dissertation that will showcase your skills and knowledge to potential recruiters. Part of a close-knit learning community, you’ll receive plenty of academic and career support to help you achieve your goals. Your specialist knowledge will give you the advantage when it comes to applying for jobs in the insurance sector, or you might opt to explore this rich area of law further at PhD level. We welcome applications from recent law graduates, or from those with professional experience who are seeking to advance their career by gaining specialist knowledge. This course is offered on a full-time basis (one year) or part-time basis (two years). It comprises four modules (or the equivalent in modules and half modules) and a dissertation. You’ll begin by taking an intensive, week-long introductory course on common law, which ensures that students from different jurisdictions and countries understand the workings of this important legal system. You’ll gain a comprehensive understanding of the main principles and debates in insurance law by studying two compulsory modules. The Insurance Law module covers the fundamentals of insurance law, including topics such as the formation of the insurance contract, disclosure by the insured to the insurer at the point of making the contract, contract terms, insurable interests (the subject of the insurance), claims and insurance fraud. You’ll also look at specific forms of insurance, such as motor insurance, life insurance, liability insurance and consumer insurance. On the Marine Insurance module you’ll gain a more specialised understanding of the principles underpinning marine insurance contracts, looking at topics such as contract terms for hull and cargo insurance, marine liability insurance and marine insurance warranties, as well as exploring current areas of debate in marine insurance law in England and internationally. Ship Finance, which covers the common loan and security structures employed in ship finance. It draws on foundational principles of contract and property and demonstrates how they are used within ship finance. Law of Ship Sale and Purchase, which examines the English law of shipbuilding and ship sale and purchase contracts. It also deals with the most common practical issues encountered by lawyers who handle transactional work in the maritime business. The optional modules are designed to complement the insurance-specific compulsory modules, helping you to put your insurance law studies into context. For example, to understand commercial insurance it is important to know about company law, or if you are interested in the insurance of marine cargo you’ll need to know the legal principles of carriage of goods by sea. This integrated course design means you’ll see the bigger picture and understand the interrelationship between different areas of law. The dissertation is another opportunity to personalise your course, as you’ll be able to choose an aspect of insurance law that interests you for more in-depth study. You can select a topic that reflects your career interests, tailoring your research towards a particular sector or area of practice. You will receive support throughout the dissertation process from an experienced academic supervisor. Programme leader Dr Johanna Hjalmarsson, whose research interests include insurance law, maritime and commercial law, and dispute resolution. Johanna studied fraudulent insurance claims under English law for her doctoral thesis. Professor James Davey, who specialises in insurance and maritime law. He is widely published in leading law journals and has contributed to several books on maritime, consumer and corporate insurance law. Dr Meixian Song, a specialist in maritime insurance law who studied the rules of causation in insurance law for her PhD (causation is a critical issue in ascertaining whether certain loss or damage is covered in an insurance policy). Our academics’ strong links with law and insurance practitioners will enhance your learning. Many of the modules feature industry guest speakers; recently these have included a senior insurance regulatory specialist who spoke on insurance and Brexit, and the technical director of AXA, who spoke about the implications of driverless cars for the insurance industry. You’ll also be able to attend the Law School’s weekly maritime law seminars, which feature industry guest speakers. These often focus on insurance topics, with speakers from P&I (protection and indemnity insurance) clubs, for example. The annual Insurance Law Moot is an opportunity to meet senior legal practitioners who participate as judges. Leading law firms sponsor prizes for high-performing students, including monetary awards or invaluable work placement opportunities. Law firms often approach us to recommend students for placement opportunities. You’ll have the opportunity to take part in the annual Insurance Law Moot, organised by the Law School, in which teams from different universities and institutions compete by presenting arguments on an insurance law topic. The contest is judged by practitioners including eminent barristers and QCs, so it’s a great way to make professional contacts while honing your research and advocacy skills. The most recent moot looked at the implications of a new rule on late payment in relation to marine insurance; judges included Lady Justice Gloster, Peter MacDonald Eggers QC and Tony Baumgartner, Partner at Clyde & Co.
One of just a few specialist insurance law LLM programmes in the UK. Study a fascinating subject with a wealth of career prospects in a large, global industry. Gain a comprehensive understanding of insurance law, taught by academics at the forefront of developments in the field. Course content is informed by studies taking place in the Law School’s prestigious Insurance Law Research Group. An intensive introductory course on common law provides the essential foundation for your studies. Potential career paths include roles in insurance broking, insurance underwriting or claims management, or becoming a solicitor or barrister. The most recent (2014) Research Excellence Framework rated 100 per cent of our research as world leading or internationally excellent for the research environment we provide to staff and students. 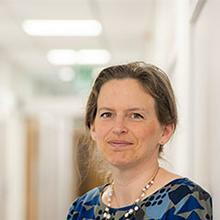 Dr Johanna Hjalmarsson is Informa Associate Professor in Maritime and Commercial Law within Southampton Law School at the University of Southampton. At Southampton Law School we are proud of our worldwide reputation for research excellence in many fields. Research is of key importance within the School and is embedded in everything that we do, including our teaching. Please click here for more information about our Centres of Research. A Second Class Bachelors Degree in Law (or a degree with a substantial legal component) is normally required, but account may also be taken of practical work experience or professional qualifications within the relevant field of study. We welcome applications from international students. Mature applicants without formal qualifications but relevant work experience are also encouraged to apply. Access to the internet, Word Processor (MS Word compatible) and an email address are also required; webcams desirable. In accordance with University regulations, applicants whose first language is not English must provide evidence of competency in English by offering one of the recognised tests in English. Alternatively, you should supply evidence that you have undertaken formal study in English at an institution that teaches award-bearing programmes in English. A score of IELTS 6.5 with 6.0 in each component together with satisfactory completion of the six week LLM Pre-sessional programme on English legal language and skills will be accepted. Students are required to complete 180 CATS. 60 CATS are awarded for the LLM dissertation and another 60 CATS for the two compulsory/core modules Insurance Law and Marine insurance. Students are free to choose modules completing the final 60 CATS. To qualify for an LLM Insurance Law, students will also write a dissertation on any topic of insurance law. The LLM Insurance Law will give you a career advantage by equipping you with specialist knowledge as well as exceptional research, critical analysis and communication skills. You could become a solicitor or barrister, or go into insurance broking, insurance underwriting or claims management, or join an insurance company’s in-house graduate scheme. Our graduates have gone on to work for: Zurich Insurance plc, Collegiate Management Services Ltd and private practices. The degree is also excellent preparation for further research; many of our graduates have begun PhDs to continue their insurance law studies. You’ll learn through a combination of lectures, seminars and tutorials as well as independent study. Lectures will introduce you to principles and concepts, while small-group seminars offer a chance to discuss topics in more detail. For some modules, you’ll be given a law-related problem to consider and debate in the seminars. You may also be asked to prepare presentations or argue a case in a moot. Some modules may incorporate preparing a response to a public consultation, or examining the legal implications raised by a new convention and drafting a clause to tackle potential problems. As well as enhancing your legal skills and understanding, these activities will help you to develop transferable skills such as team working, communication, critical appraisal and logical reasoning. Working with a diverse group of students also means you’ll gain an insight into other cultures and professional practices that will be crucial in the workplace. You’ll receive feedback on your work throughout the course, enabling you to identify strengths and areas for improvement. Formal assessment varies by module, but will include exams and coursework as well as your dissertation. The LLM Challenge offers an additional learning experience that will exercise your intellectual capabilities and develop your advocacy, team working and leadership skills. Students across all our LLM pathways are assigned to a team and given a current topic to debate, competing for a small monetary prize. You’ll have unlimited access to an extensive range of specialist journals and online databases held by our excellent library service. Library seminar rooms are available for group work and peer discussion, and the Law School’s facilities include a purpose-built moot room. 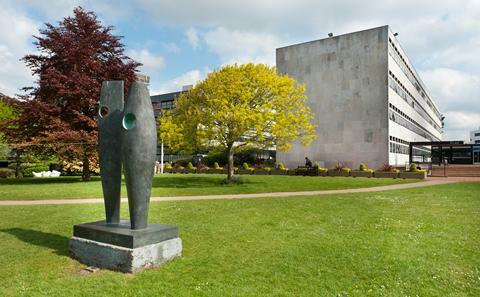 Southampton Law School is a welcoming and friendly learning community; we aim to stretch your intellect but offer plenty of support to help you fulfil your potential and achieve your ambitions. Every student is allocated a personal academic tutor who can advise on course-related matters, and you’ll be able to talk to your module tutors about any subject-specific queries. In addition, the University offers a wide range of language, academic and welfare support services should you need them.